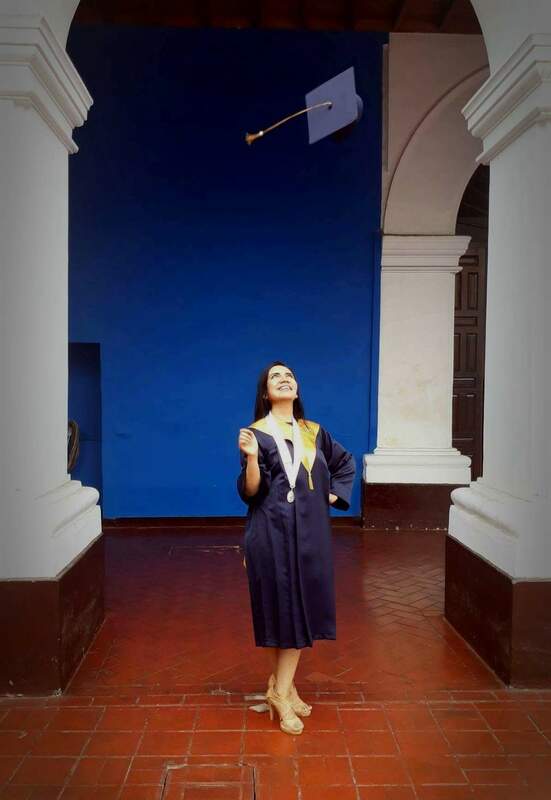 11 years after FairMail started, former photographer Yuli (23, Peru) gave us the best birthday present of all by graduating from University. 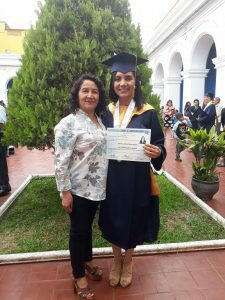 An amazing achievement if you consider that as a little girl Yuli had to help her parents select stones and gravel at the quarry to help make ends meet after moving from the mountains to the big city. One generation later their daughter got a bachelor title in Languages from the highly ranked national university of Trujillo. And Yuli is not planning to stop right there. Yuli entered FairMail in 2008 at the age of 15 years, after being scouted from the YMCA project that works with at risk teenagers near the Trujillo land-fill. Back then she was a very shy girl but it was already clear that she wanted to achieve more in life. She reached her goal of passing the entrance exam for the National University on her second try in 2013, the same year she travelled to Europe for FairMail’s promotional tour. She soon got the hang of travelling, going to the United States for the past 2 winters to practice her English while working in resort hotels. Yuli wants to keep on studying to get a MSc. degree in Education. “I am checking to see if I can do my master degree in another country through a scholarship or something like that. I always believed that investing in education is the best step towards success” she says. No doubt that the income she keeps earning from the sale of her FairMail cards, on top of the 8.744 euro she already earned, will come in handy for that. Yuli’s success is not only benefitting herself. She has also become a shining example for her surroundings. 2 of her brothers and sisters are now also in university. And during her 2 years as co-manager of FairMail Peru she inspired many of the current FairMail teenagers to believe in their own dreams. “I always told everyone that you have to do what you really like if you want to pick the fruits of your efforts.” Yuli says. This way she shows great respect to her parents who greatly sacrificed themselves so their children could have a better future. And also making the best possible use of the assistance FairMail gives to underprivileged teenagers.